In the final part of these series, we will be taking you through the tips you must follow to maintain your LPG. 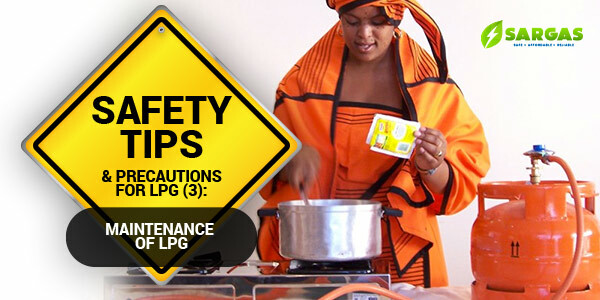 The previous topics in these series covered the precautions to follow when installing your LPG as well as the safety measures to take when using it to cook. To ensure that you get the best out of your LPG, follow these tips. 1. After you finish cooking your wonderful (or not so wonderful delicacies), make sure you switch off the gas cylinder before you leave the kitchen. If you decide that you have to travel for Christmas or even Democracy Day, please ensure you disconnect the LPG regulator. 2. 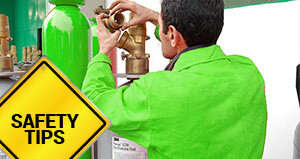 Gas repair, servicing and inspection are not Do-It-Yourself (DIY) subjects. No, nada, naa, never; please do not try to be a superhero. Call a specialist to regularly inspect the cylinder, carry out servicing and repairs when necessary. Do NOT and we repeat, DO NOT tamper with it yourself….for your own good. 3. Super gas recommends applying soap solutions on cylinder joints to spot where there is a leak point. They say that when bubbles appear on those areas, it is an indication that there is a leak there. While we have not tried this out, we think you should and when you do, please tell us if it worked in the comment section. 4. LPG has an artificial odour that has been added to it to ensure that one can smell it when it leaks. Ensure that you learn the smell in order for you to know when there is a leakage. If you smell any gas, make sure that you turn off the knob immediately, open all the windows and for God’s sake, do not put on any electrical appliance or even the cooker unless, of course you want to be burnt to a crisp. 5. Also, make sure to keep your cylinder in a properly ventilated area both for the top and lower level. This does not mean you should expose it to the sun, rain, dust, or heat. 6. Place your LPG cylinder in an upright, vertical position and ensure that the environment in which it is placed is clean. 7. Do not keep any cylinders that have not been connected to a stove. To round off this series, in case you are caught in any LPG related fire emergency, ensure that you shout or raise alarm, find a way to exit the building if the leakage/fire cannot be controlled with an extinguisher, and call the fire brigade. And with a big grin on our faces, we say, have a wonderful and safe use of LPG. SARGAS energy is a safe, affordable, and reliable renewable energy company based in Lagos, Nigeria. 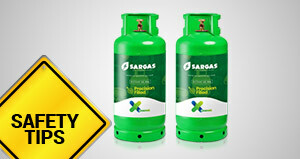 Safety is an important part of our everyday life and at SARGAS energy we value the safety of our team and our clients. What is the essence of saving endangered species? © 2018 Designed by Creativewoks Inc.